There comes a time in everyone’s life when you have a little too much of a good thing. In winemaking, having too many grapes, or ample wine in barrel is not necessarily a good thing, especially if not all these sources reach the level of quality that you are striving for in your premium label. This is where an alternative label becomes useful. 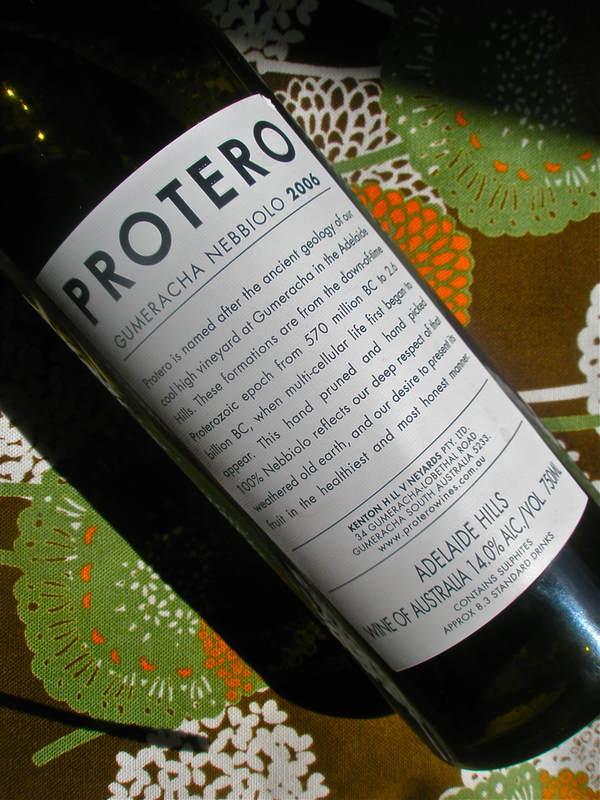 This Crudo Shiraz is part of a second tier within the range made by the laconic Luke Lambert in the Yarra Valley, who sure as hell makes up for his quiet demeanour with a roaring offering under his premium self-titled label using Syrah and Nebbiolo. In the case of Crudo (Italian for ‘raw’), it has been fittingly crafted in a very easy drinking style using no oak, wild yeast and a fair whack of whole bunches in the ferment. Ultimately, it promotes a gluggable red under the $25 price bracket that did not go amiss for myself and a friend on a carefree mid-week dinner. Dark berry fruited with spices of clove and a touch of pepper, this is cool climate Shiraz fruit at its most approachable. And it even gives a little at the finish. A lack of fining and filtration means you will discover a nice bit of sediment in the bottom of your bottle, which is just another less interventionist direction taken by this quality-focused lad. Forget the raw food eating fad. Any stomach would find it more inviting to jump on board the raw wine drinking bandwagon instead. Here is the ol’ chap that deservedly won the Best Wine trophy at the Australian Alternative Varieties Wine Show held at the beginning of November. For an event that highlights and champions the planting of lesser known native European and other world varieties on Australian soil, it was wonderful to see such a poised, aged wine take the limelight and at the same time pay testament to the long-standing efforts as it was drinking so perfectly. 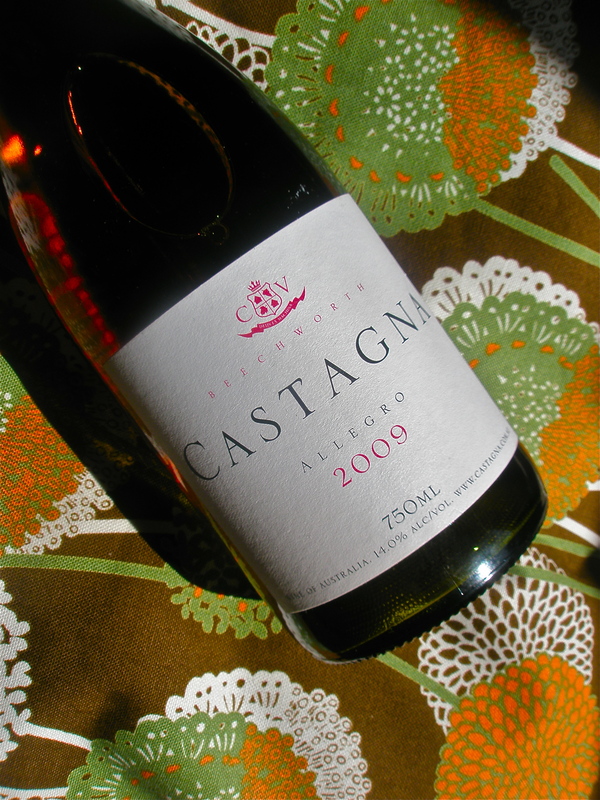 Being 2006 and a Nebbiolo, you expect that characteristic brick red tint when it is poured into the glass. There are still hints of those youthful fruits that would have been more prevalent a number of years back. Developing in their place however, there are flushes of dark chocolate, touches of delicate, black cherries and an aromatic lift of candied lemon on the finish that is reminiscent of some Piemontese Nebbiolo wines when they are in that cross-over phase from an adolescent into its more mature adult stage. With age, the tannins have become more like soft Egyptian cotton sheets in mouthfeel compared to a more muscular sheet of linen that they would have been like in their youth. The delicateness of this mid-weighted wine is balanced in fruit flavours of red cherries and violets and earthen tones like truffles. This would match perfectly with home made Italian tajarin pasta and fresh shavings of truffle on top, even though those delectable, ugly balls of fungus will leave a perpetually distracting aroma. The wine was crafted by Stephen Pannell who makes his own award-winning Nebbiolo in the Adelaide Hills under his S.C Pannell label. I unfortunately do not personally have a trophy to give the Protero, but would a gold star suffice? Thank you so much- I love that sort of writing. There is too much boring wine writing out there. If you don’t know the writing of Philip White it’s worth having a look. Come and say g’day if you’re ever close by.